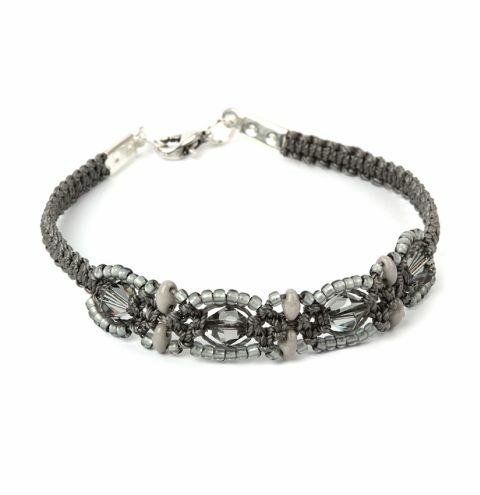 Learn how to make lots of Dorothy Wood's beautiful Macramé bracelets with sparkly Swarovski crystals! After you have used the 5 lobster clasps, why not make more Macramé designs with a sliding knot clasp? Find all the materials for this project under the 'materials needed' tab!